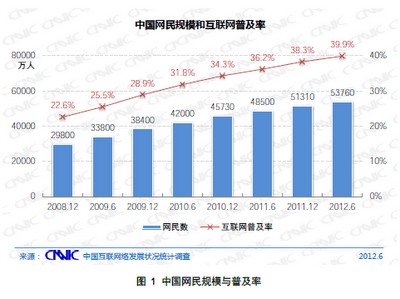 CNNIC released a report "The 30th Statistical Report on Internet Development in China". 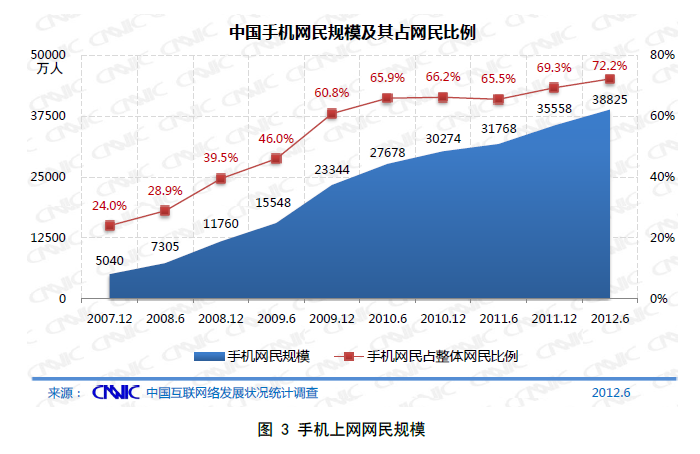 Today, CNNIC released a report "The 30th Statistical Report on Internet Development" that is written about the situation of the latest Chinese internet market. 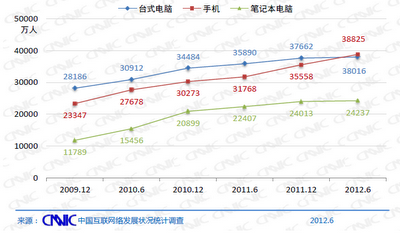 According to this report, internet users in China was 537,600,000 people. 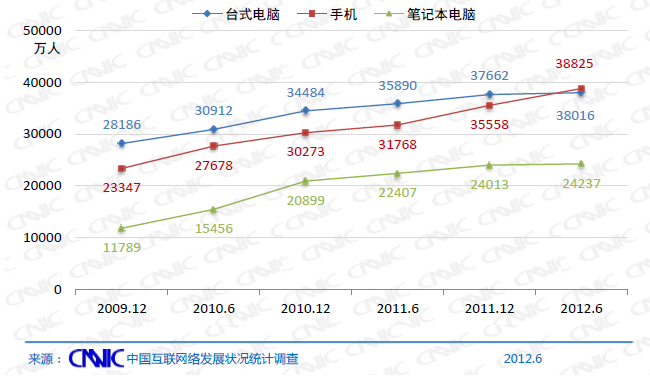 The user increased 24,500,000 people compared with the end of 2011, the diffusion rate of internet was 39.9%. 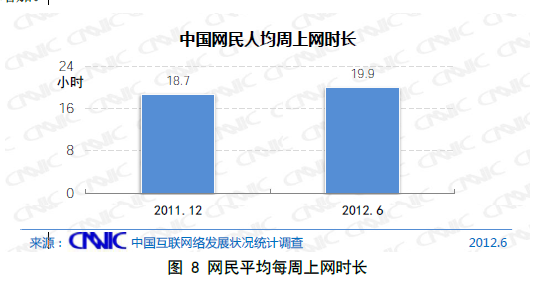 Next, mobile internet users in China was 388,250,000 people. 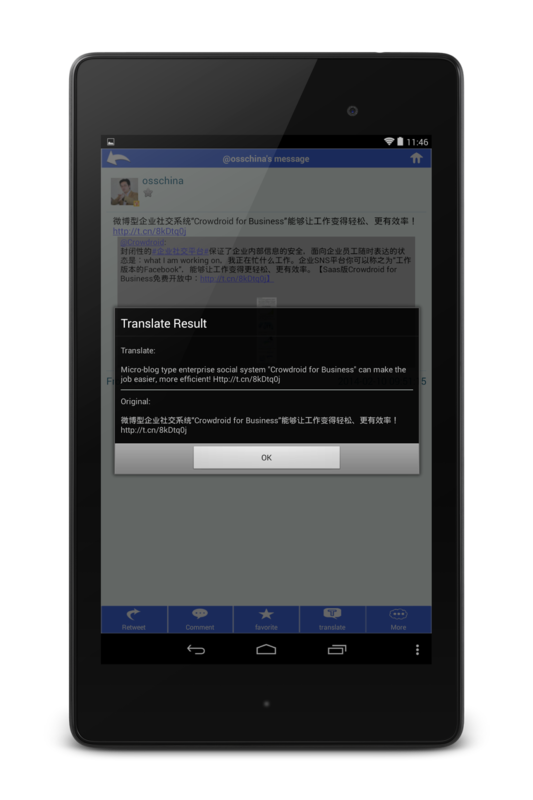 The user increased 32,670,000 people, the ratio of mobile internet user was 72.2% of a whole. The growth speed of mobile internet user is really rapid, mobile device became the top of all method connecting to the internet. And according to this report, Chinese internet user was on internet 19.9 hours per a week. And the component ratio of Internet users by age is as follows. Today, I reported the summery of this report. But the next time, I will report the detail and the situation of each Web services. 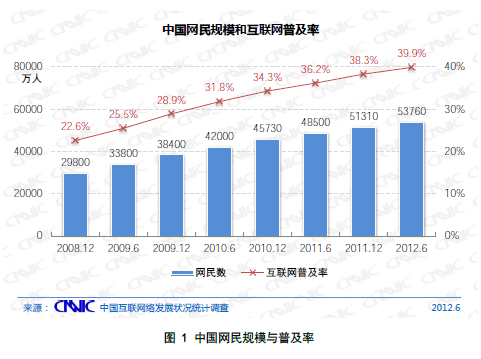 Source => CNNIC "The 30th Statistical Report on Internet Development"